Karnataka 2nd PUC Result 2019: Kar PUC Results 2019 Arts, Science, Commerce to be announced at karresults.nic.in. Pre-University Examination Board has announced Kar 2nd PUC Result 2019 name wise with marks. Candidates can check their PUC Results/ Plus Two through logging in with their exam registration credentials at pue.kar.nic.in. The Karnataka PUC Results 2019 are quite crucial or all the contenders who appeared for the examination in the month of March. The results generally declare after a month of two months after finishing the examinations. Some of the courses offered by different colleges in the stream of PUC include Arts, Science and Commerce and some other vocational courses. The students need to download or take a print out of the result so as to show it as a reference at the time of joining in other colleges for higher education. The candidates who are quite anxious about their results can easily check them from the official web portal of Karnataka Pre University Education @ www.pue.kar.nic.in. The Karnataka PUC exam is being organized by the Karnataka secondary education board of education. Each year they conduct the class 12 exam. As per every year, the results get declared soon after the exam is complete. This year also the exam has been scheduled and the result might be declared in the month of April. From first week to mid of April, the board will be declaring the result. The entire result declaration will be done online and students can also check them on the online platform too. Students must check the official website of the board on regular basis. The website would give updates about the exact date of the result. Along with the results, the students can also check out the pass percentage of previous years, past years Karnataka PUC results statistics and a lot more. In order to get your results instantly, the students need to make sure that they have provided all the essential details in the provided fields correctly. We will update the Karnataka 2nd PUC Results 2019 soon after the official Release date and time from the official authorities of Karnataka Board. You can check the previous year overall pass percentage in order to get some idea about the result. over 6,90,150 students had registered for the examinations and there were 4,000 absentees. To announce the results, 53 evaluation centres have been created this year. Last year, there were 42 centres. Two centres have been added in Kalaburagi for the first time. As many as 23,890 evaluators have been appointed this year, up from about 19,000 last year. Sait also said the results of the SSLC examination, which will begin on March 23, will be announced on April 30th. Book mark the official website page of the board which will help students to access them easily. To get the updates, website can be the right place to check. 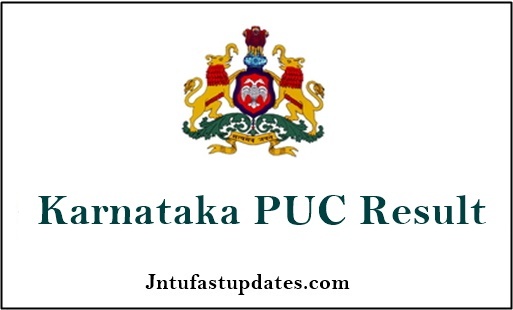 2nd puc result 2019 date karnataka: As soon as the Examination is through, all of you must be waiting for the PUC 2nd year Results 2019. We expect that the board releases the Karnataka PUC 12th results sometime in the month of April. However, this is the tentative release date for the results. All the students appeared for the exams advised to be ready with their respective Hall tickets for checking their Results. Arts, Commerce, or Science students can check their Result at the same time and at the same page. The students need to be little tolerant till the Result announcement. You can check your Result Name wise and the Roll No Wise results here. Candidates should stick for official websites pue.kar.nic.in. 2nd PUC Result 2019 Karnataka date? The board has made an official announcement regarding the results. However, we have provided result date for the class 12 examinations. Karnataka 2nd PUC Results 2019 has been announced by the Board officials. The overall pass percentage this year is 61.73 percent and candidate of Udupi district have topped the Board exam. According to officials, this time also girls outperformed boys. The scores will be declared at 12 noon. The pass percentage among girl students is 68.2%. Previous year, nearly 6 lakhs students appeared for the exam from the different colleges registered under the board. Among all the pass percentage was 59% which was an average performance. Even in 2017, more than 6 lakhs students appeared out of them 52% passed the exams. Even a great improvement is being seen among the girls who are appearing for the exam. How to Check the Karnataka 2nd PUC Result 2019 Name Wise & Toppers List? The candidates’ redirects to a new web page wherein they need to enter the essential credentials of the candidate in the provided fields. Click on the submit button after providing all the details. The students can check the Karnataka II PUC Results that appear on the screen. The candidates need to take a print out or download their result card for future reference. Remember this print out is not the result. The original mark sheet will be provided by the board and send them to schools. The students need to collect them from their respective schools. As this is the pre-university exam, hence this result will help in getting admissions in various universities all over the nation. A good PUC result will open a great future ahead in a renowned institution. The Karnataka board who organized the PUC exam looks only after the pre university exams. The higher secondary education is completely being managed and controlled by them. The education department of the state is the responsible body to hold the department. Every year the pIC exam is being held by the board. The results are also declared by them for the designated exam. More and more students are taking up admission in the state board; hence the number of examinees is increasing. Each year the exams are held at the same time of the year. All the Best! We will soon update the direct result link here after the official declaration by the Department of Pre-University Education, Karnataka. 1.3 How to Check the Karnataka 2nd PUC Result 2019 Name Wise & Toppers List? When is the 2nd pu supplementary result?? ?